Phiaton?s BT 100 NC is the convenient, wireless solution to carrying your music with you, wherever you go. The BT 100 NC?s feature ?wear around your neck? wireless minimalism that allows you ease of access to your music, calls, and Active Noise Canceling (ANC) all in one. And now, with IPX4 sweat-resistance, you can enjoy your BT 100 NC worry-free when working out. But whether you?re utilizing the noise cancellation while travelling, exercising, or hands free with the Bluetooth 4.0 technology, the BT 100 NC will provide an advanced, modern, and more convenient audio experience. Bluetooth 4.0:?Improves sound quality and extends battery life. aptX Technology:?Increases digital streaming efficiency and improves overall dynamic range. NFC Technology:?Allows for easy pairing with Bluetooth-enabled devices or instant pairing with any NFC-enabled Bluetooth device. Clear Voice Capture (CVC):?Enhances your calling experience and clarity of phone calls. 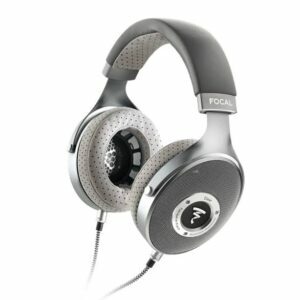 Active Noise Canceling Technology:?Cancels ambient noise by up to 95%. Vibration Notification:?Signals when a call is being received or you have stepped outside the communication range. Sweat Water Resistant:?IPX4 splash resistance certified protects earphones during heavy workouts or light rains. Multipoint Connection:?Connects two Bluetooth-enabled devices simultaneously. Wireless Music & Calls:?Full inline musical controls allow you to take charge of your songs without having to find your device. 13.5mm Drivers: Provide striking bass and full-range, high-definition sound.